Spongebob is a character based on the animated series Spongebob Squarepants created by Stephen Hillenburg. Spongebob lives in the ocean in a place called Bikini Bottom, he lives in a pineapple. He has adventures with his best friends Patrick Star, Sandy Cheeks, Eugene Krabs, Squidward Tentacles, Gary the Snail, and Sheldon Plankton. And gets into trouble without even trying. 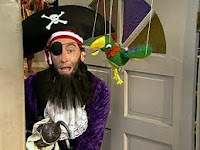 Tom Kenny is the voice of Spongebob, french narrator on some of the episodes, Patchy the Pirate, and Larry the Lobster etc. Spongebob loves his job at the Krusty Krab where he cooks Krabby Patties. Bikini Bottom's favourite food. 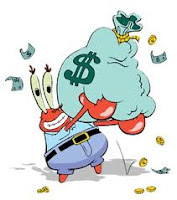 His boss Eugene Krabs is obsessed with Money. 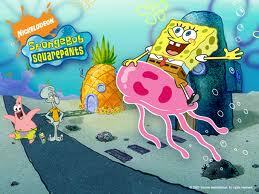 And Spongebob's hobbie is Jellyfishing with Patrick and Karate with Sandy. Spongebob thinks everyone is his friend. Patchy the Pirate is the President of the Spongebob Squarepants fan club with Potty the Parrot. Patrick is a very dumb sea-star. Everyone knows he is dumb except Spongebob his best-friend. 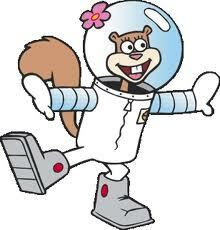 Sandy Cheeks is Spongebob's scientist friend. She is from Texas. Squidward Tentacles is another friend of Spongebob. But Squidward thinks of spongbob as a pest. Squidward is a little bit snobby. His hobbies are Painting, Playing the Clarinet, Drinking tea, And Smooth Jazz. He dislikes Spongebob, Patrick, and his job. Gary the Snail is Spongebob's pet. Spongebob had another pet and it was a clam (bird). It was only on one episode. That means Gary and the clam (bird) didn't get along. Sheldon Plankton is an evil genius who tries to steal the Krabby Patty formula. He is married to a computer call K.A.R.E.N. Him and Eugene Krabs are enemies. Spongebob has been around for so long that he has won a lot of awards. It mostly won Children's favorite cartoon. Spongebob is a successful cartoon.